This book is not a dictionary, though it tells you all you need know about everything from authenticity to zips. It's not an autobiography, though it does offer a revealing and highly personal inside view of contemporary culture. It's an essential tool kit for understanding the world around us. It's about what makes a Warhol a genuine fake; the creation of national identities; the mania to collect. 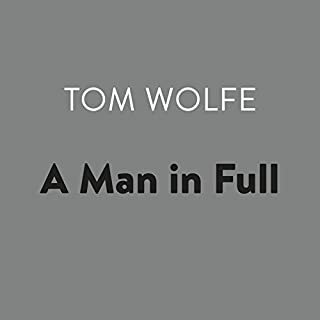 Listen to a conversation with Tom Wolfe. 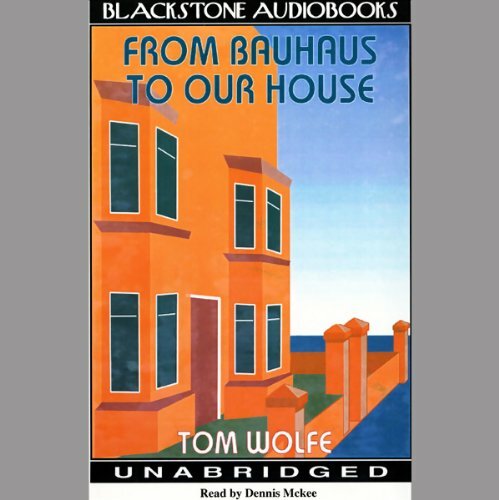 If you want to understand why so many modernh new buildings in our cities are hard on the eyes as well as the spirit, Tom Wolfe is your man! Wolfe eviscerates the pompous and arrogant class of modern architects, and makes you laugh out loud as he does it. This book is so deliciously biting and sarcastic I kept having to back up and listen to almost every sentence again to be sure I got all the snark. Every word is perfectly crafted with (in most cases) a lot of well-deserved sneers. I do not share quite his level of derision in every case but I love it when someone is bold enough to skewer some sacred cows no one else dares to skewer. If you like this one, another similar book is "The Painted Word" (also by Wolfe) and "Art's Prospect" by Roger Kimball. I have a friend who loves and respects Frank Lloyd Wright and I had to stop reading and email him about Bauhaus to Our House because of how it praises Wright and links Wright to other indigenous American art forms and movements that lost their place in the sun too soon. That said, I don't absolutely hate minimalism. But it sure is fun to hear some sacred cows get a grilling. 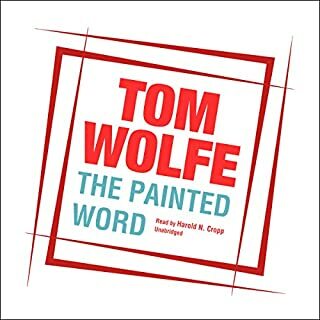 The last time I read this was when it was brand new (1981) and was his (Tom Wolfe’s) followed to the “Right Stuff” and sort of derived from his previous book “The Painted Word”, about modern art. He made the correct turn, just after this IMHO. Big fat novels that are character studies. As a representative of the “New Journalism” style Wolfe is is neck and neck with John McPhee (which is better is only dependent on what you, the reader, is most interested in.). The narrator was clear, but didn’t do the source material justice. He couldn’t, because the book is short (with pictures) for a reason. This is a short genius book. I’m glad to have re-read it. And it is impossible to beat the last line. Would you try another book from Tom Wolfe and/or Dennis McKee? I love TW, but this did not resonate with me at all. 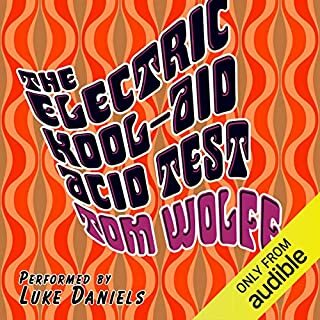 Would you ever listen to anything by Tom Wolfe again? Sure. This is an outlier. Who would you have cast as narrator instead of Dennis McKee? If you could play editor, what scene or scenes would you have cut from From Bauhaus to Our House? Most of them. The book is too much 'inside architecture'. Who are the professors, the rumors, the infighting, etc. That stuff just isn't interesting to me.. faculty politics and whatnot. Dreadfully boring. Discussions about what the designers were trying to achieve, and technical / engineering issues involved in achieving them. Cool Book, Narrator is "Documentary Style"
There is great content here on how European socialist architecture came to America. You get the Tom Wolfe (TW) style and intelligent analysis. 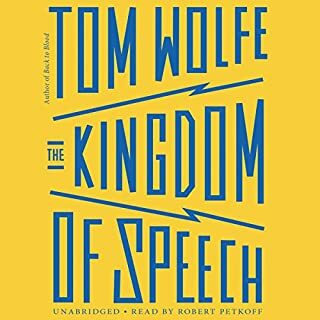 As a Tom Wolfe fan, I can probably survive almost any narrator. This said, the snarky TW is lost in this book. However, you will not fail to get the message, because the narrator is clear and true. This is not a novel, it's non-fiction of a cool topic. It is what it is. A retelling. Decent synopsis. No conclusion other than manifestoes are only for designers. The rest of the population could care less and some designers can back on it/them, i.e. Johnson. No reflection on the book, but I just wasn't in the mood for this. 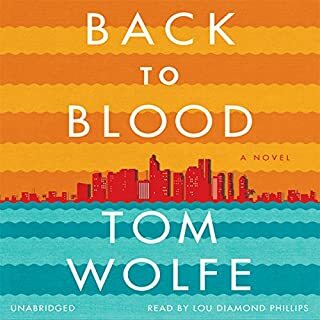 The narrator did not do Tom Wolfe justice. He is a clever writer, but the cleverness was missing in this book due in large part to the uninspired narration. I will most likely listen to it again in the future but for now I'm just not getting it. This was a nice review of certain early to mid-century architectural style(s) and theory. If you need to freshen your memory of things learned in Art History 101, this is the ticket in the architectural field. What could Tom Wolfe have done to make this a more enjoyable book for you? Mr. Wolfe did what he proposed. That being an articulation of just how the minimalist idea in the architectural canon evolved. Did Dennis McKee do a good job differentiating all the characters? How? Well, no characters here, but Mr. McKee did a nice job reading the text. Could you see From Bauhaus to Our House being made into a movie or a TV series? Who should the stars be? If Mr. Wolfe wanted to have a movie made of the evolution of intellectualization of the human habitat from dirt floors and burlap curtains to the glass box of the 20th century, he could introduce into a work of fiction an immortal who lives on one square acre of ground for about 12,000 years and has to undergo a thousand renovations of his habitat. Anyone who has ever been inflicted with of a renovation of the tiniest kitchen or a measly bathroom knows that this leads to madness. So, instead of a vampire or wolf-human that lives forever, we could have, as our protagonist, a common man driven insane not only by the intellectuals who dictate fashion at the expense of comfort but also a man driven to suicide by the endless torture of construction never finished. Sort of like what happens in any actual renovation. Of course, being immortal, the man cannot chose to end his suffering at his own hand because, well, he's immortal and must endure until he is finally encased in a glassy, soulless, boxed tower . I really enjoyed this critique and history of 20th century architecture focused primarily on the US and its relation to the academic/purist schools which originated with Bauhaus. 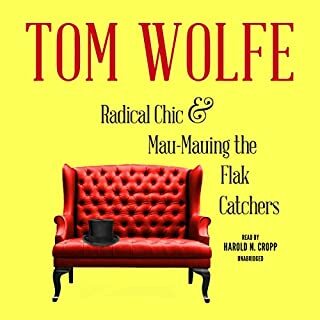 Tom Wolfe is insightful, cynical, and tells a good story. However, the gravely voiced narrator (more suited for a Western or detective novel) made it difficult to listen to the book.